This comparative and long-term in-depth analysis studies the macro-historical process of the nationalization of politics. Using a large wealth of newly collected and unexplored data on single constituencies in 17 West European countries, the analysis reconstructs the territorial structures of electoral participation and support for political parties, as well as their evolution since the mid-nineteenth century from highly territorialised politics of early competitive elections toward nation-wide alignments. It provides a multi-pronged empirical analysis through time, across countries, and between party families. The inclusion of all the most importan social and political cleavages (class, state-church, rural-urban, ethno-linguistic, and religious) allows to assess the nationalising impact of the left-right dimension that emerged from the National and Industrial Revolutions, and the resistance of pre-industrial cultural and centre-periphery factors to national integration. State formation, institutional, and socio-political mobilisation models are combined with actor-centered explanatory factors to account for key evolutionary steps and differences between national types of territorial configurations of the vote. 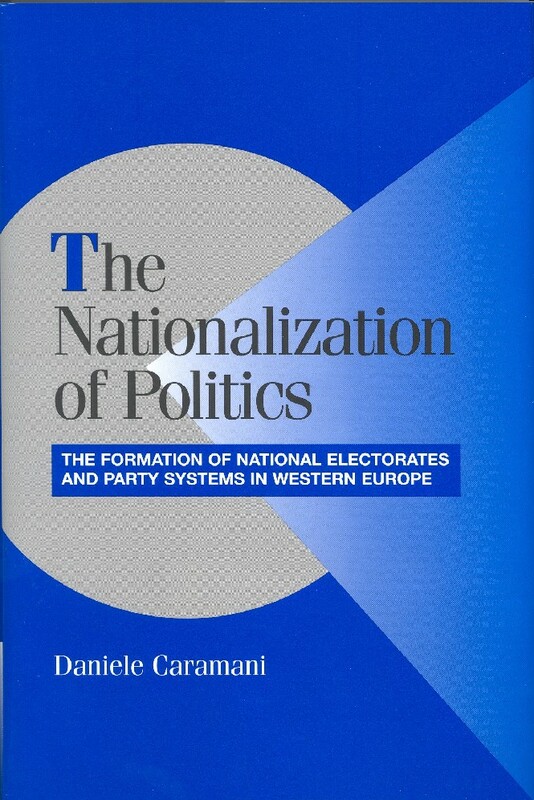 Daniele Caramani is a research professor at the Mannheim Centre for European Social Research (University of Mannheim). He holds a Ph.D. from the European University Institute, Florence, and has taught at the universities of Geneva, Florence, and Bern. In 2000-2 he was Vincent Wright Fellow in Comparative Politics at the Robert Schuman Centre for Advanced Studies. He is the author of the book and CD-ROM Elections in Western Europe since 1815 (2002).